Downton Abbey Season 2: Sir Richard is a better match for Lady Mary than Matthew is. It’s crazy that Downton wants us to pretend Lady Edith looks like the back end of a bus. I’m curious what you two make of Sir Richard Carlisle. I am exceedingly disturbed that he doesn’t know the difference between hunting tweed and walking tweed (after all, the man’s a Scot! ), and that marriage proposal—“I think very highly of you”—wasn’t exactly heart-stoppingly romantic, but he and Mary seem very well-matched. They’re both smart and scheming, and although his words weren’t exactly mushy, I was quite impressed when he told her, “We’re strong and sharp, and we can build something worth having, you and I, if you let us.” He gets her! Mary’s sharp tongue and clear vision are among her most admirable qualities. She’d get much more use out of them with Richard than she ever would with Matthew. That said, my heart is not so icy that I don’t enjoy seeing hard-edged Mary get all melty around Matthew. But has he ever brought her anything but tsuris? Getting away from that house, her family, and even the advice-offering servants might be just what she needs to fulfill her destiny. Regarding your observations about Downton Abbey’s old-school attitude to physical beauty, Seth, it kills me that we’re supposed to act as though Lady Edith looks like the back end of a bus. If she is less attractive than her sisters (and I confess I do enjoy the show’s brunettophilia), it’s because of the envy she harbors in her soul. 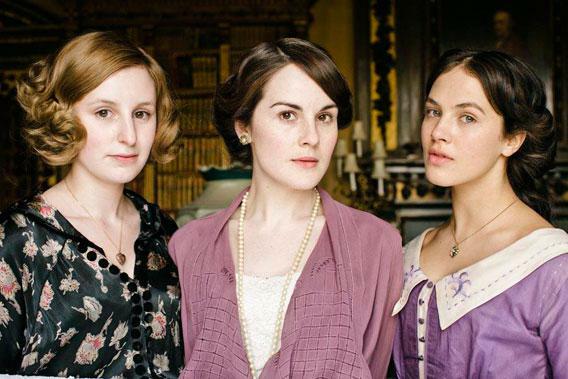 But habits and hair color are destiny at Downton. Thomas—excuse me, Cpl. Barrow—and O’Brien are always surrounded by little puffs of smoke; if I couldn’t see their cigarettes, I’d think it were brimstone. I won’t believe that O’Brien has really changed until she completes a smoking-cessation program. And given the Brits’ attitude to redheads (I direct your attention to this BBC story that asks “Is gingerism as bad as racism”), if I were Ethel, I’d be asking Mrs. Patmore if she has anything in her pantry that also doubles as a hair dye.